Those are finches above. 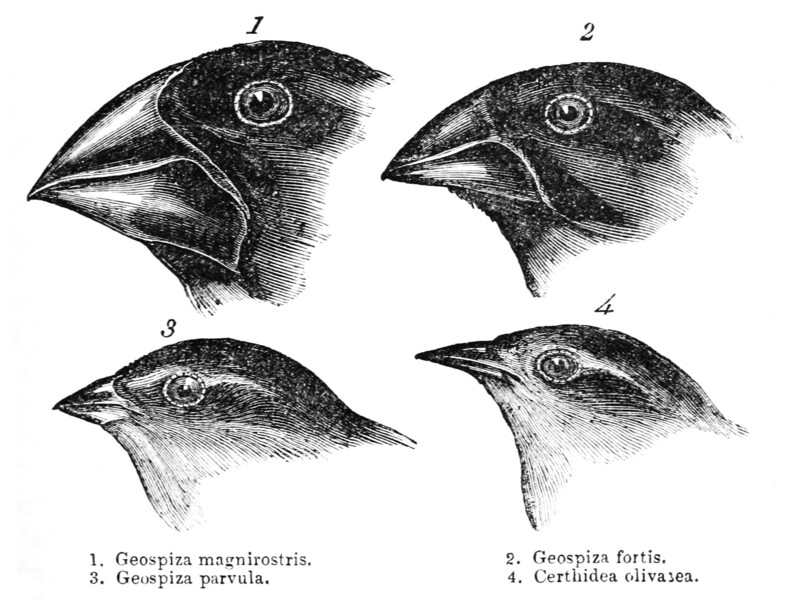 Darwin's finches, to be precise. He found them remarkable because of their highly adapted beaks, rapidly evolved to be tightly fit to its environment. Great software engineers have to be adaptive to, responding rapidly to changes in the team, their business, their market, and the world. Unfortunately, not every engineer is so adaptable: some spend years acquiring skills, and rather than adapt to changes in software engineering (such as the introduction of the internet, cloud computing, scripting languages, or other new technologies), they resist change, failing to embrace or at least understand the new technology. To help you be more adaptive, we're going to practice reacting to changes in the market of web frameworks. Find the latest "hot" web framework (as if a web framework can be hot). Try to discover why that framework is hot. With your team, develop justifications both for adopting and for not adopting that web framework for this class project. Decide which argument is more convincing to your team. Present your arguments to the class. Which arguments suggest adaptability? Which suggest inflexibility?